7 new entries added to tropicana slogans, that include pictures. 1. If it tasted any fresher it would still be on the tree. 1 If it tasted any fresher it would still be on the tree. 2 Feel pure good. Everyday. 3 Tropicana. Straight from the fruit. 5 Tropicana's got the taste that shows on your face. 6 100% pure squeezed sunshine. 7 Orange juice direct from oranges, not from concentrate. 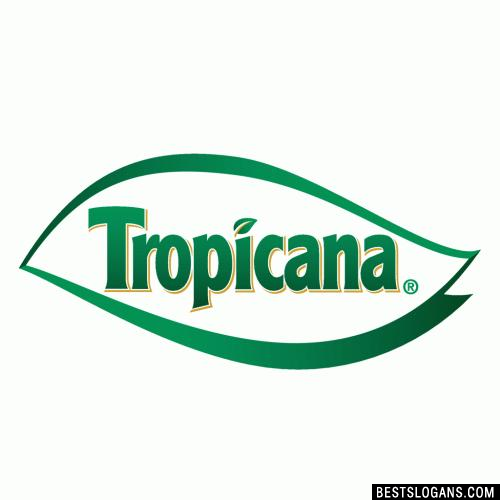 Can you think of a good Tropicana Slogans we're missing? Or come up with a clever one of your own. Please share below.